A lot of what we do as middle school educators revolves around conflict management. We have students work in groups in the classroom in large part so that they learn to work with others and learn to navigate conflict. As adults, it can be extremely difficult to see our children struggle. It is even more painful to see our kids struggle in social situations. We all know that friend groups change in middle school, and it can be painful to watch. But conflict and struggle are tremendously important for the adolescent brain. In fact, adversity is one of the most powerful learning tools for teenagers. Students cannot fully mature until they have learned how to navigate difficult situations. But mistakes do happen in the learning. Our job as adults trying to teach adolescents is to step back and let our kids experience the struggle. We can provide support and perspective, maybe even some advice, but we need to let our kids solve their own problems. In the Washington Post article, “To raise independent kids, treat middle school like a dress rehearsal for life”, Branden Bell says, “There will be times he (my son) feels his teachers are unfair or his peers are mean. He might even be right. But letting him handle this won’t hurt him; it will teach him some important lessons, such as how to resolve problems.” If you have the time read this article, please do. Not surprisingly, this article touches on many of the same topics I discussed about intrinsic motivation. Our goal is to raise children that will become independent and competent. We cannot do this if we do not allow our kids to fall down and get back up again. Another thing that struck me in Bell’s article is how important it is for us to teach empathy. I really like the idea that empathy is something that can be taught. Empathy is not innate; something we either have or don’t have. Some people are just naturally more empathetic than others, however, we can all learn how to see things for other people’s perspectives; we can also teach this. So, this is why us middle school teachers do what we do. We teach reading and writing and math and science, which are all very important. But we also teach our students how to be good people, and how to treat one another with respect and dignity. Lastly, the middle school years can be very difficult, but it is also a very special time in life. Young teenages are old enough to think independently, but they are still young enough to need us adults and they still come to us for help and support. Remember to enjoy this time in your child’s life. For Halloween this year, ASB is continuing the tradition of our annual, school-wide Costume Contest. Judging will take place on Halloween during an extended recess. This year’s categories include: creative, scary, group, and funny. Students interested in participating can sign up using the Google Form emailed to their school emails. We do know that these rules may disappoint some students, as they will not be able to wear a complete costume, we do apologize for this. Our main concern is safety. Please consider limiting the amount of CANDY brought to school before, and after Halloween. Zero Period will be cancelled on Thursday November 1st as many of our students will be out late Trick or Treating. October is here and it is time to start planning. Please remember Conference Week is October 22-26. We will be on a minimum day schedule with a release time of 1:15 PM. First period will begin at 8:40 everyday that week except Wednesday, which will have the regular start time of 8:30am. Zero period will still begin at 7:45 AM. There is still time to enroll your child in the 8th grade Washington, DC and NYC trip from June 17, 2019 to June 21, 2019. Learn more about the trip and sign up atwww.efexploreamerica.com/2101599md. The DC/NY trip is not school sponsored or affiliated with the San Carlos School District, but led by an individual through EF Explore America. If you have any questions about this trip, please contact Jennifer Williams at dcny2019@gmail.com. There's still time to sign up for your Central Arroyo PTA membership. Membership is just $20 per family or $10 per individual. Becoming a member offers the opportunity to contribute to important discussions that impact your children’s experience at school; meet other parents and build community; and partner with the CMS/Arroyo school community to ensure a safe, welcoming, and fun learning environment. Joining the PTA is an easy way to show your support for the school and does not require a large time commitment – there is no obligation to attend meetings or volunteer for events. If you are interested in becoming more involved, you can always attend the monthly meetings or choose from the many volunteer opportunities available throughout the year. Sign up for your PTA membership here. Already signed up? Pick up your 2018-2019 Membership Cards in the office. FRIDAY, October 26 or SATURDAY, October 27 from 4 to 7 PM: Check-in at Road Runner Sports, a Stampede & Soar sponsor. Pick-up your t-shirt and enjoy a special event-only deal: $10 off $30 purchase or 25% off total purchase (for VIP members). Enter the raffle to win a pair of children’s shoes. SUNDAY, October 28 at 9 AM: The run/walk begins promptly at 9 from the blacktop between Central and Arroyo. Get there by 8:45 and find the sign with your grade level. 8th graders will start the race, followed by 7th, 6th, 5th, and 4th graders. Parents and siblings start after. Walk/jog/run 1 lap or 2. No wheels and no dogs, please! Join us after the race for DJ, food for purchase, and sponsor booths. More information available here. Please register by Thursday, October 25 online at https://centralarroyopta.myschoolcentral.com. After that come to Road Runner between 4 and 7 PM on October 26 or 27 to register in person: $40 first participant; $20 each additional participant. T-shirts available to late registrants while supplies last. CAN I HAVE SOMEONE ELSE PICK-UP MY T-SHIRT FOR ME? Yes. If you cannot make either t-shirt pick-up time at Road Runner, please send a friend. All participants should wear their shirts on Sunday to take part in the Color Run. Platinum Sponsor: County Consumer Plumbing Group. Gold Sponsors: Chang Orthodontics; Da Vinci Marble; Joyce & Tatum Real Estate Team; MA Private Wealth; San Carlos Orthodontics; Tavarez Orthodontics. Silver Sponsors: Alana Corso @ Dwell Realtors; Andrews Orthodontics; Brittan Park Valuation; Floorcraft Carpet One Floor & Home; Kirsten Kell, Marriage and Family Therapist; Horticare; Hyland Design Group; Pams Path to Travel, Road Runner Sports. San Carlos School District and it’s programs. 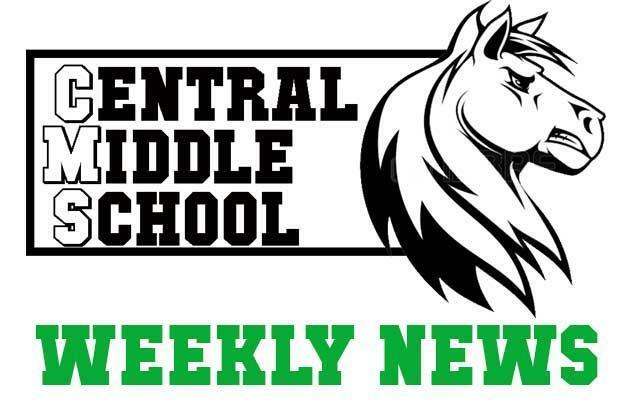 Tonight, October 22, is the 6th & 8th Grade Newcomer ROPES Orientation for all students in 6th and 8th grades attending Central, Charter Learning Center, and Tierra Linda and interested in doing a ROPES Project. The orientation will take place from 7:15 - 8 PM in Central Middle School's Mustang Hall. Please attend to find out details about the ROPES project and to have an opportunity for students and parents to ask specific questions. Students in 5-8th grades interested in entering this year’s fair should try and attend. Parents are welcome as well. We will briefly review the key topics from September’s introductory meeting for students who missed this first meeting. We will have a discussion on how to design experiments for a successful STEM Fair project. Students will then have the opportunity to discuss and get valuable input on their project ideas with our community scientists and engineers during the second half of the meeting. Attendance at the workshops is not required to enter the STEM Fair. The fair will take place on January 26th, 2019. Contact Bob Dubrow, bdubrow@scsdk8.org if you have questions or comments. Please use the DISTRICT LINK https://www.scsdsports.org for information on SCSD Athletics. Call 415-334-3333 or email scsdsports@legarzasports.org with any questions. Get down and dance to the hot sounds of San Francisco spinmaster, "DJ ManCub"
Entry includes a night of non-stop dancing, drinks, pizza & snacks, sweets, and deep grooves! Get Your Faculty and Friends Concert Tickets Now! On November 9 at 7pm, join our SCSD music teachers, local musicians and community members for an evening of live music. This popular event, held at St. Charles Church in San Carlos, is great for the whole family. Refreshments will be available for sale at intermission. Support SCEF, music in our schools and enjoy our local musicians. On Friday, October 26, from 4-5:30pm, when you and your 7 years and under kiddos are wandering Laurel street at the annual Goblin Walk, don’t forget to stop by the SCEF Photo Stop. You will find this photo opportunity just in front of Bank of America. Be sure to tag #SCEF and #cityofgoodliving in your photos! Enjoy some of your Halloween treats and then donate the rest! Drop-off your Halloween Candy at your school’s office November 1-7th. Local dentists Drs. Amin, Chang and Kaher will donate $1 per pound of wrapped candy to SCEF, and Operation Gratitude with Estes Express Shipping will ship the candy to our troops overseas. Support our troops and support your school! A shadow day is an opportunity for eighth grade students to spend the day at Sequoia and experience firsthand what it’s like to be a member of the Sequoia family. Students have an opportunity to observe Sequoia High School for the day, and there is a Parent Information Session the morning your student shadows. Attached please find the October Carlmont Corner & a detailed flyer about Shadowing at Carlmont. Shadow registration will be available through our website beginning on October 8th.